Hoping to inspire by example, Start-up City narrates the stories of 10 first-generation entrepreneurs. Starting quite small and achieving big, they range from fresh graduates to established a�?seriala�� entrepreneurs. 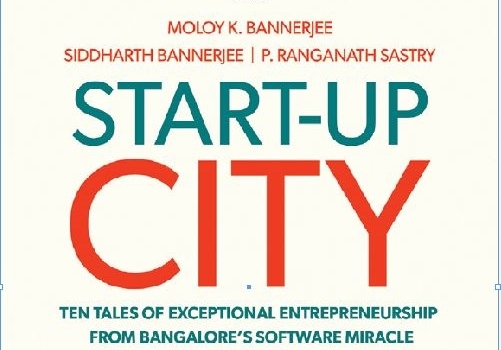 P Ranganath Sastry shares how he and co-authors Moloy Banerjee and Siddharth Banerjee tracked down the Bangalorea��s most innovative minds. It was hard to narrow it down to 10, but we had several criteria. We wanted people who had interesting stories, were known in their field and had a�?been through the grinda��, but who were not well-known by the general public. We also focused on first-generation entrepreneurs. adapt and respond calmly during crises. Why are there no females profiled in the book? There was no agenda in that sense. In fact, there is Meena Ganesh, who along with her husband Krishnan founded TutorVista, Indiaa��s first Internet-based tutoring company. She is hugely inspiring, and came across stronger than her husband, in our interview. There are many high-profile women in the business world, but there does seem to be fewer female entrepreneurs. I hope it changes. tions company. Coming from a rural, conservative family background, Kumar still had entrepreneurial streaks in him right from beginning. I admire his slow and steady approach, and Ia��ve watched his business grow from a `25-lakh company, to over `130 crore today. What do you hope your readers will take away from Start-up City? The book is not prescriptive, and deliberately so. We would like people to read the stories, think about the issues raised, and project these thoughts onto what they would do if they created their own company.